Welcome to my first post of 2019 on Autocratech. 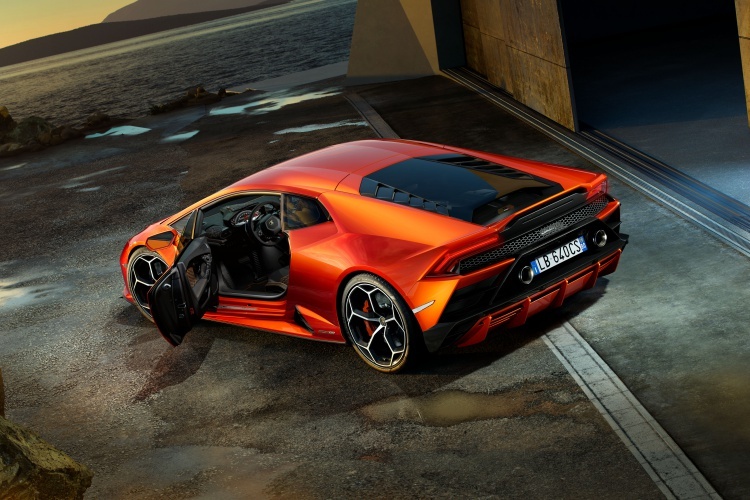 My challenge for this post was to cover one – the Genesis G70 or the Lamborghini Huracan EVO. I picked the Lambo over the Genesis for a few reasons. Firstly, there is no timeline on when Genesis is coming to India, which limits its scope somewhat. Secondly, who hates a car with Raging Bull logo on the hood? Lastly, after what Lamborghini achieved with the Huracan Performante and Aventador SVJ, how could I not touch upon the Huracan EVO first?! Rest assured, I will talk about the Genesis G70 too soon enough. 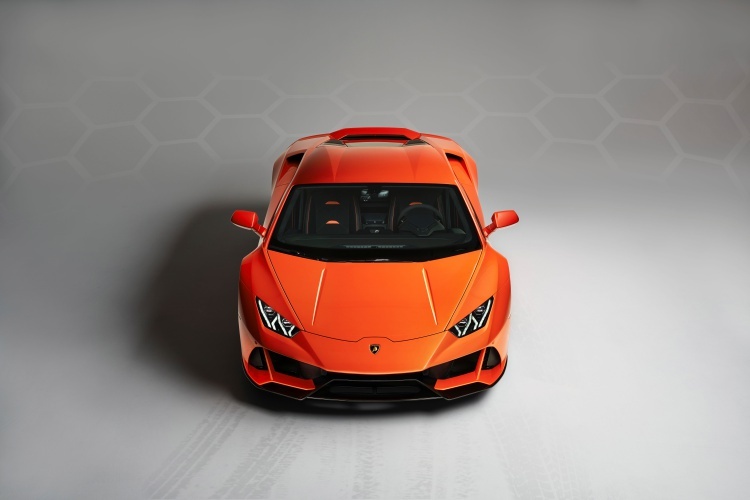 For now, time to focus on the Lamborghini Huracan EVO or as a I call it the Huracan with brains. 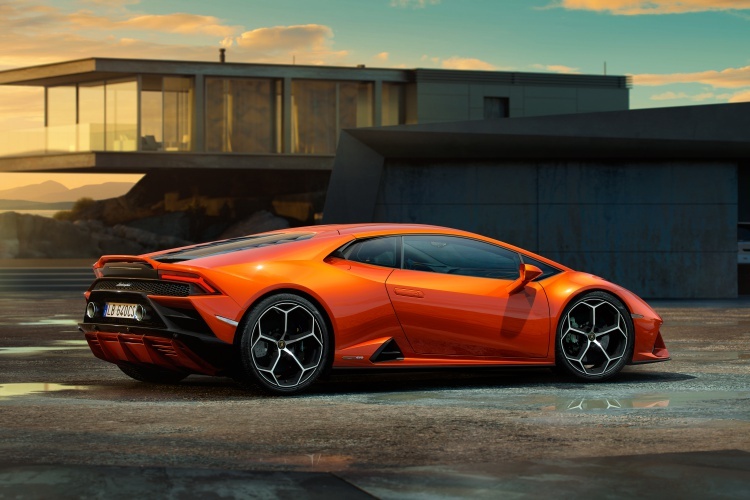 What’s new about the Lamborghini Huracan EVO? 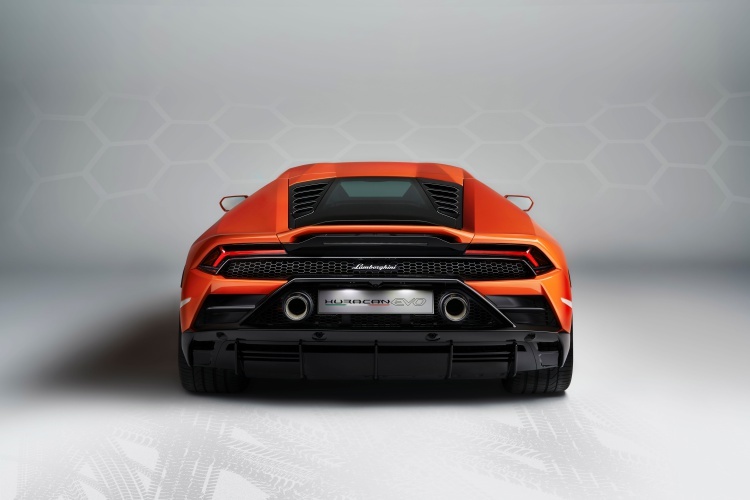 Let’s start by talking about the brains of the Huracan EVO. 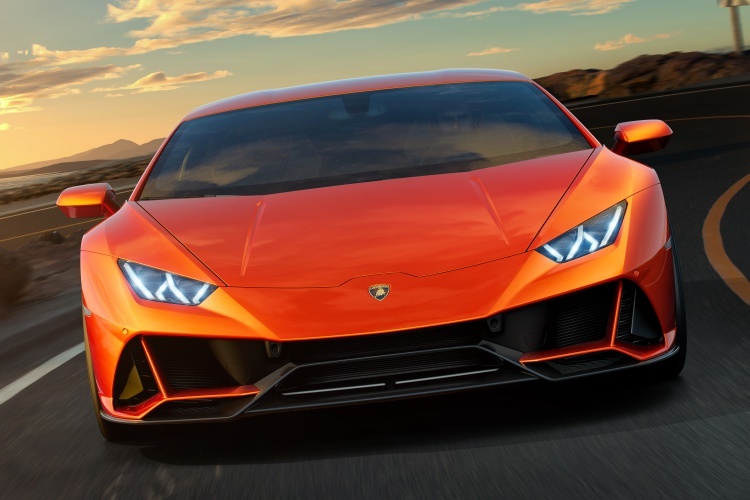 The Raging Bull company calls it Lamborghini Dinamica Veicolo Integrata (LDVI). This is essentially a control module that works in conjunction with Lamborghini Piattaforma Inerziale (LPI). LPI is a sophisticated term for a set of accelerometers and gyroscopes that feed data to LDVI. 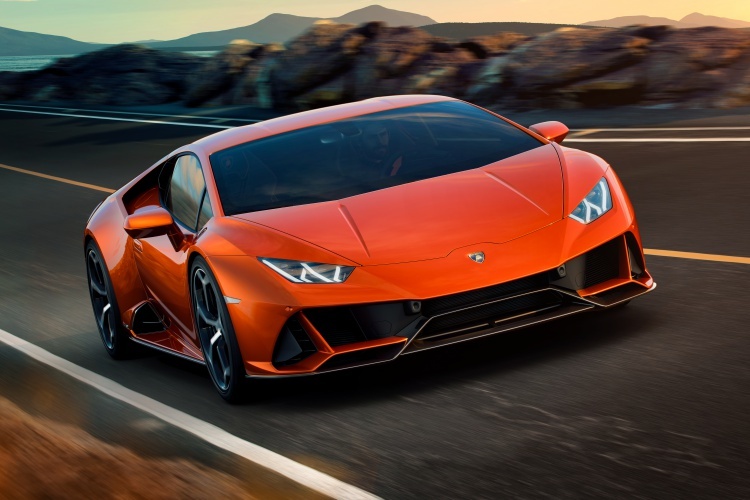 As a result, the Huracan EVO can adjust itself on the move in response to changing conditions, like alter damping at either wheel to suit requirements. 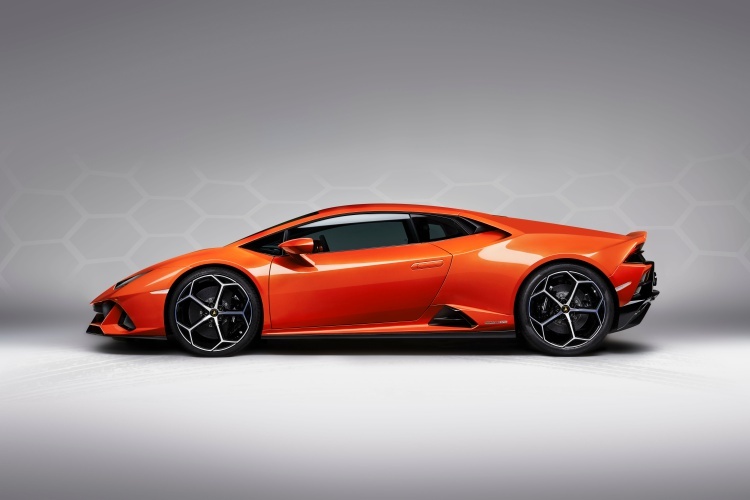 Moreover, the Huracan EVO also gets rear-wheel steering, all-wheel drive, and torque vectoring. All these aids use that LDVI I just talked about. But how does it get to know what to do? Your accelerator/braking inputs, gear engaged, and drive mode selected via ANIMA controller. Simple, right? Speaking of the ANIMA, you get three modes – Strada, Sport, and Corsa. Credit also goes to the magnetorheological dampers, which work as a part of the active suspension setup of the car. 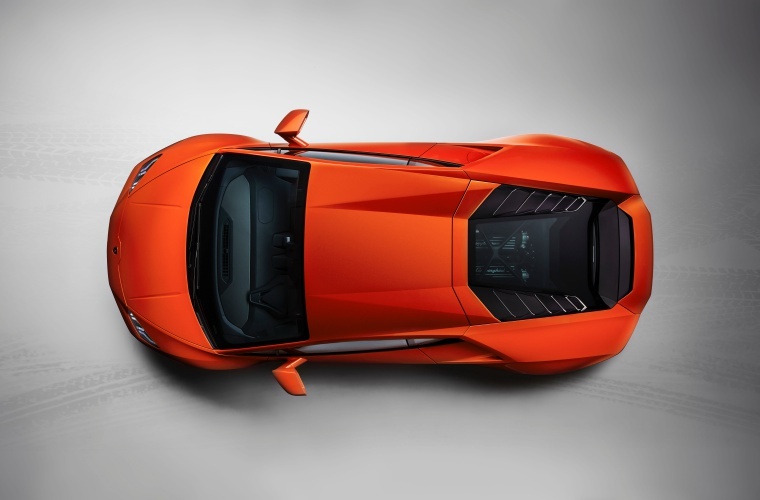 I talked about the Lamborghini Huracan EVO’s ‘brain’ and touched upon its improved ‘muscle-mind coordination’. This leads me to talk about its ‘muscle’. The naturally-aspirated 5.2-litre V10 petrol remains here (thankfully) but with increased output. By that I mean Huracan Performante output, specifically 640HP power and 600Nm torque. Helping it generate this power output are titanium intake valves, and a lightweight exhaust system, among other things. It goes from 0-100kmph in just 2.9 seconds and hit a top speed of 325kmph. The low 1422kg dry weight helps it in this regard as well. 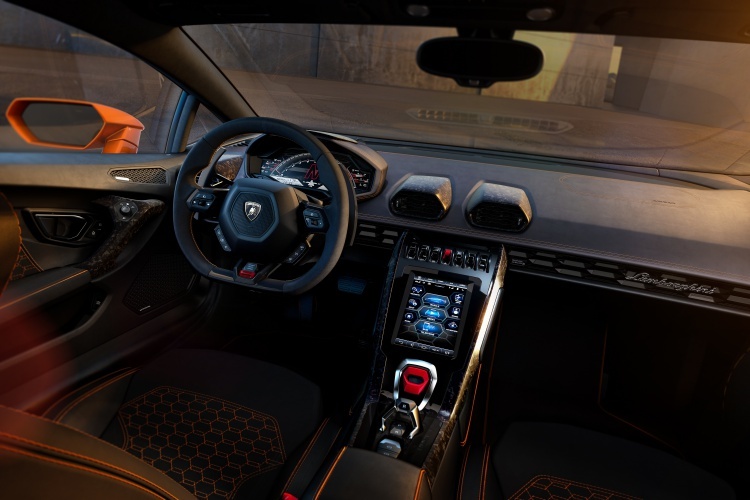 More new stuff comes inside the Huracan EVO’s cabin. There’s a new 8.4-inch touchscreen above the start button to govern everything – from infotainment system to what LDVI is doing. On the outside, the front bumper gets the horizontally laid-out Y motif on either side as in the taillights’ LED pattern. A new four-layer paint scheme is on offer and is called Arancio Xanto. New 20-inch Aesir wheels adorn the car and wear Pirelli P Zero tires. 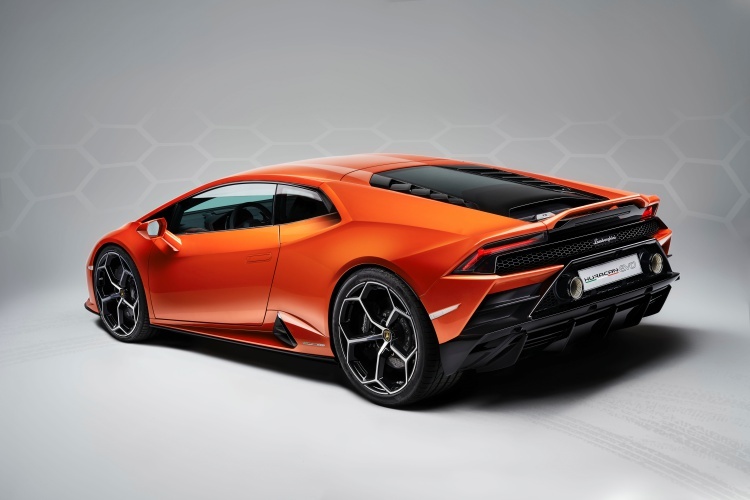 The Huracan EVO gets an integrated rear spoiler. It is better than that wing on the Huracan Performante, no matter how functional that is. The redone rear end houses two exhaust tips, one for each side. These are placed higher up in the bumper as opposed to the old model. 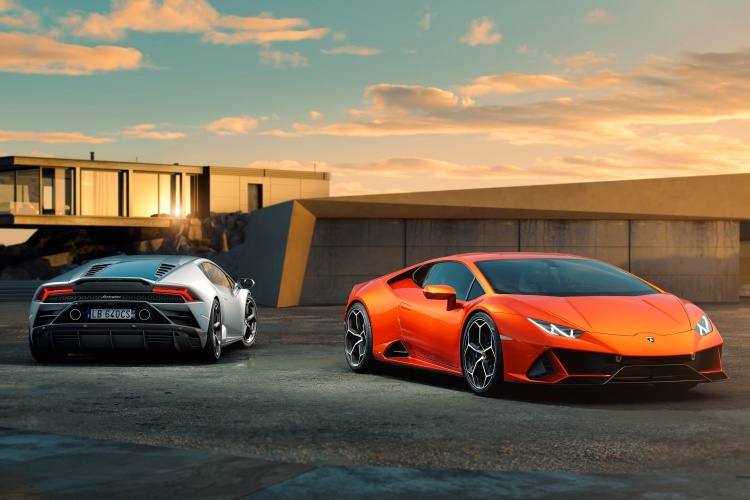 All in all, Lamborghini hasn’t messed with the formula of what made the Huracan great. It just refined it and made it better, just the way it should be done. 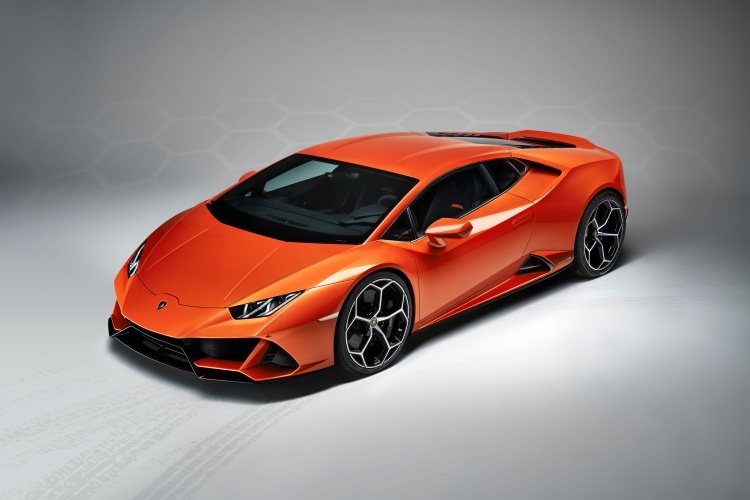 Is the Lamborghini Huracan EVO worth consideration? In what world is a Lamborghini not worth consideration? May be a dystopian world where all we would need are high-riding vehicles, like the world of Mad Max. However, I don’t see that time coming any time soon. 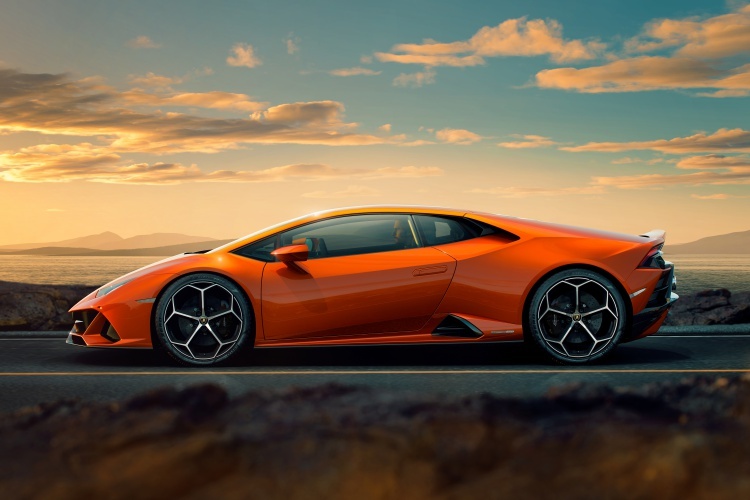 Here’s the idea with the Lamborghini Huracan EVO though – don’t expect it to be a Huracan Performante wearing a tuxedo. The Performante is a bonkers vehicle and the EVO isn’t that. 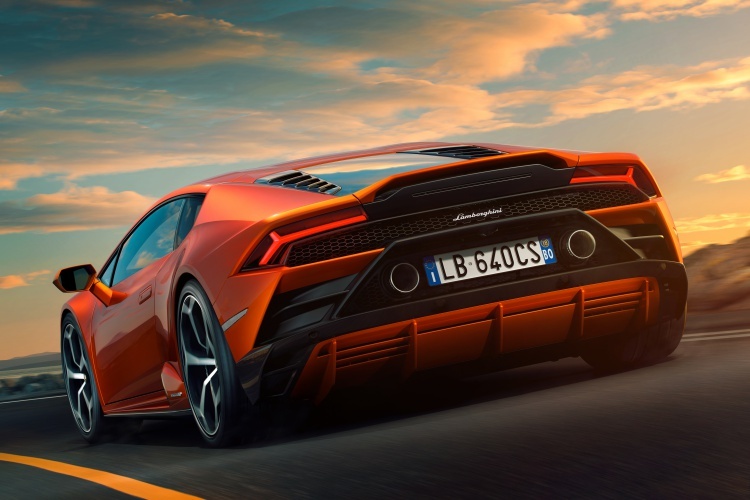 You take the Huracan Performante on a race track and everyone will take note. Take it to a party though and you will feel like the odd person. Not so with the Huracan EVO. Track day folks may not love it over the Performante, but it will make you a star at an evening gala alright. 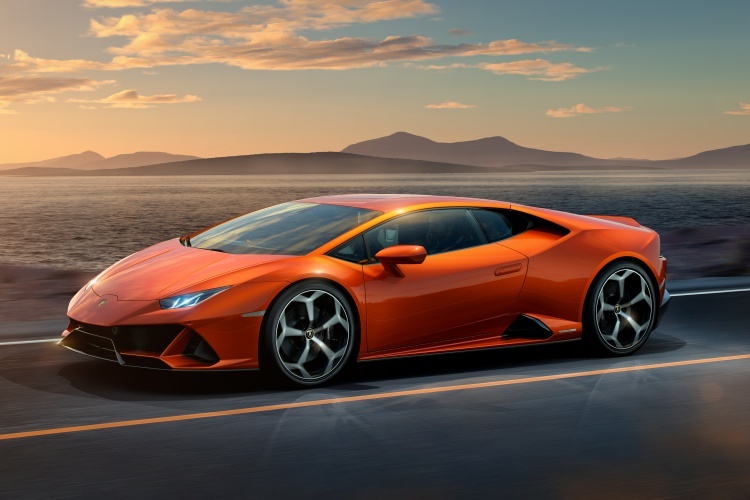 More features, more power, and more capable than ever, the Huracan EVO is now your entry into the world of Lamborghini. Simple, right? Awesome too, me thinks. Previous: Previous post: Autocratech – Happy 2K19! Next: Next post: Will you pick Genesis over Germans?